The Ontario government is taking a big step forward in reducing our ecological footprint by strongly considering a ban of fluorescent bulbs in landfills. 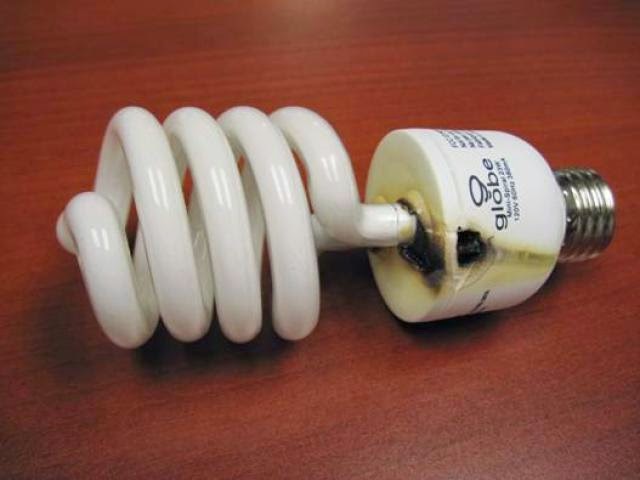 As we noted in our LED vs. fluorescent tube showdown – fluorescent lighting is filled with mercury, which when disposed incorrectly can have a significantly negative impact on soil and surrounding environment. Mercury contamination can be quiet harmful to the environment. It not only affects the soil but the ecosystem, even at very low levels of contamination. With an increasing amount of light bulbs getting dumped into regular garbage, landfills are full of bulbs which release mercury and introduce it to the local environment. Aside from the negative effects, property managers who see fluorescent bulbs as a cheap alternative now have an extra added cost and further work to ensure fluorescents are disposed of properly. You can imagine a condominium building having a hallway filled with fluorescents needing a big budgetary cost if the ban requires special disposal. If this law should pass, it will shine lots of light on the other side of fluorescents: the not so good. Their good qualities will become average and they will slowly become associated with mercury contamination. Plus, who doesn’t find it creepy when fluorescent bulbs start blowing out or flickering due to temperature fluctuations? It makes tenants feel as if they are in a cliché horror movie! With the continuous efficiency improvement and price drops of LED bulbs, it will not be too long until they become the “standard” of energy efficiency for lighting purposes. With virtually no negative materials, minerals or disposal issues – LEDs will be the true green alternative to not only incandescent, but fluorescent bulbs as well.